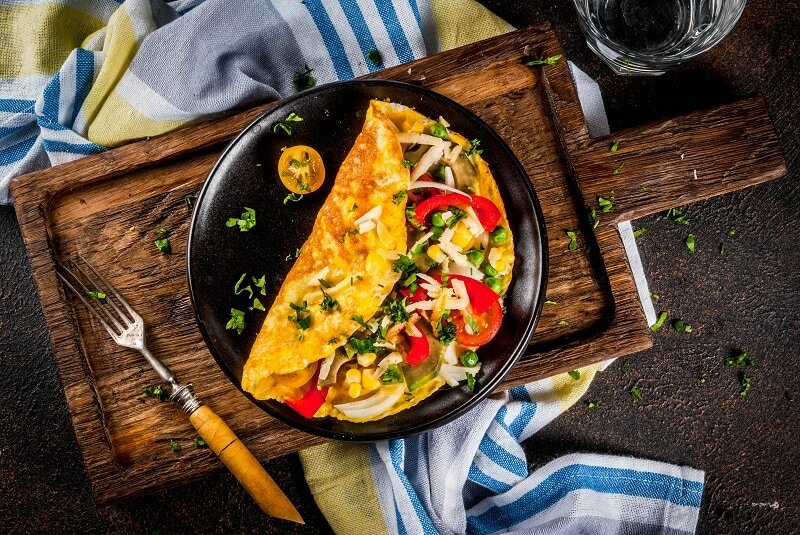 The key to making a great omelette is using a great omelette pan. It might be tempting to pick up your old nonstick pan, beat a couple of eggs and pour. But there’s a little more to it than that. With all the pans on the market, it’s hard to figure out which one to choose. There are plenty of factors to take into consideration including size, material the pan is made of, what type of cooktop you have and more. If it all seems overwhelming, don’t worry. I’ve got you covered. I’ve chosen the 10 best omelette pans on the market right now, which you can buy individually and not part of a full cookware set. Whether you’re a beginner cook who has never made an omelet or a seasoned chef who make omelets on the daily, there’s a pan for everyone on this list. Oil, Butter or Nonstick Spray? Size: Omelette pans can be anywhere from 5-inch to 12-inches wide. When choosing the right size note that the bigger the pan, the thinner the omelet. Larger pans can also make it more difficult to fold the omelette in half. Heavier pans might be more durable, but they also can be more difficult to hold. Handle: Don’t overlook the handle. Look for pans with a long handle that does not conduct heat. It is also important for the handle to be comfortable to hold since you’ll be picking up the pan and doing some swirling to make the omelette. Stovetop: Another thing to keep in mind is what kind of stovetop you have. Some pans do not work with induction stovetops. 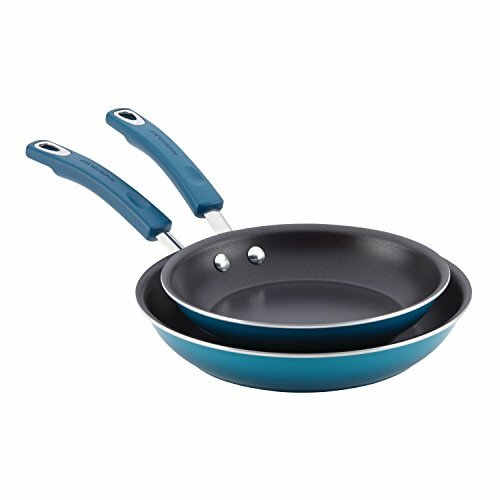 Why will some pans not work on induction stovetops? Induction cook tops use electric fields to create heat. In order for this to work, the pan needs to be made from a magnetic material. Not sure if the pan will work on an induction cooktop? Find a magnet. If it sticks to the bottom of the pan, it will work. If it doesn’t stick, then it will not work on an induction cooktop. Material: One of the biggest decisions will be choosing what type of material will the pan be made out of. The top 4 choices are a traditional nonstick, hard-anodized aluminum, stainless steel, and enamel. 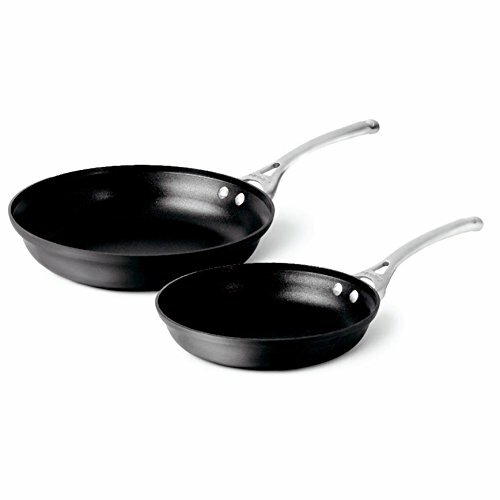 Nonstick: Most nonstick pans are coated with Teflon which allows you to use little to no butter or oil. But for this type of pan, unless specified, keep metal utensils away! Also, check to make sure the nonstick coating does not contain PFOA (perfluroctanoic acid) which has been determined to be a carcinogen. While most pans are PFOA-free, it’s worth double-checking. Nonstick pans are a popular choice for eggs of any kind because they not only prevent food from sticking but clean up is quick and easy. Stainless Steel: While stainless steel can be a great choice, a cheap stainless steel pan can lead to disaster. Make sure you choose a high-quality stainless steel pan that has an aluminum layer in the inside for even cooking. Another bonus is that most stainless steel pans are dishwasher friendly. Hard-Anodized Aluminum: This is not just your run of the mill aluminum cookware. Hard-anodized aluminum is a super durable, long-lasting material. It is great at heating up quickly and cooking foods evenly. Unlike regular aluminum cookware, it won’t react to acidic foods. 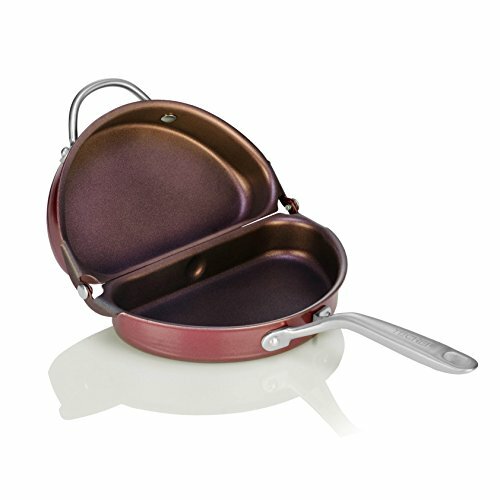 Enamel: Enamel-coated pans are easy to clean, are nonstick and are also nice to look at. They are durable but are slow to heat up. Enamel cookware tends to be a little on the higher end of the price spectrum and if they have an iron base, can be pretty heavy. Crack a few eggs, beat them, pour and add fillings, right? Well not exactly. Here’s a great video to show you how to cook a perfect omelette. Tip: If possible, use farm fresh eggs. You will taste the difference. You’ll need to make sure you have the proper equipment to make an egg, including a chef’s knife to cut any additional ingredients that you’d like to add to the recipe. While some purist will say use only butter when making an omelette, it’s okay to use oil instead. However, one thing to consider is that nonstick sprays should not be used with certain pans. 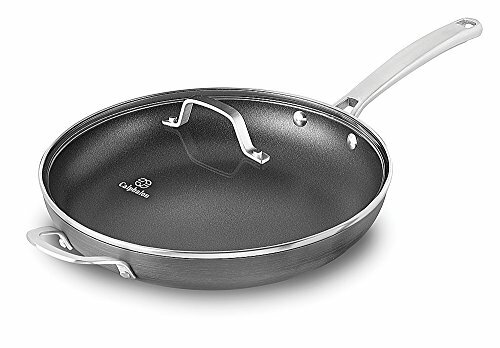 For example, Calphalon suggests for the 12-inch Classic Omelette Fry Pan, avoid nonstick sprays because it will leave a hard-to-remove residue that will cause food to stick to the pan. Also, another thing to keep in mind for nonstick pans only, rather than adding butter or oil once the pan is hot, add it as soon as you turn on the heat. This will only help the nonstick coating work even better. As with any pan, be sure to read the care instructions to get the longest life out of the product. First and foremost, be sure to read the care instructions of the pan. If you are unsure, check the manufacturer’s website. In general, here are some tips on ensuring you get a long life out of your pan. Unless it specifically states dishwasher safe, hand wash your pan with soap and a nonabrasive sponge. A scouring sponge and steel wool can scratch and/or remove the nonstick coating on certain pans. Stainless steel pans are usually fine to put in the dishwasher, but when in doubt, hand wash it. Don’t use metal utensils on nonstick pans. Metal utensils can scratch or chip the nonstick coating. Avoid cooking sprays on nonstick pans. As mentioned before, it can cause a nasty residue on the pan that will be incredibly difficult to remove. If possible, never got past medium-high heat. The high heat setting will shorten the lifespan of the pan. You might be familiar with many of the brands on this list, and for good reason. They have consistently put out reliable products that home cooks and professional chefs go to time and time again. Most notably, Calphalon appears 3 times on this list. But why? It all comes down to quality. 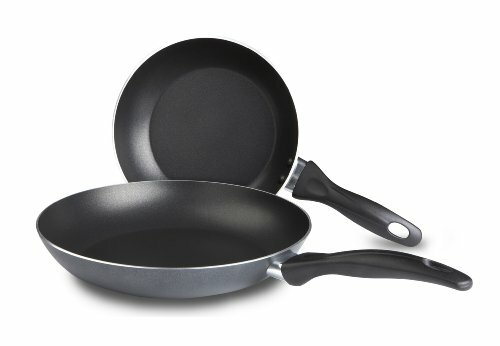 Each Calphalon pan stood consistently and even daily usage without losing its nonstick quality, which is by far the most important quality of an omelette pan. Another reliable brand with 2 on the list is T-fal. A great quality about T-fal is affordability. A good pan for a low price will definitely appeal to many cooks. The Calphalon Contemporary Omelette Fry Pan is a tough pan that won’t warp to high heat and the nonstick can withstand daily use without losing its “nonstick” power. The sloped sides make it easy to flip and fold the omelette, but also make it great for making any type of eggs as well as sautéing and frying. The idea of buying a pan just for one purpose doesn’t appeal to most people. If you are looking for something more versatile and plan to use it frequently, even daily, then this is the pan for you. Dishwasher safe. No hand washing required. Great for cooking more than omelettes. The price is a little on the higher side, especially for its small size. With “Egg Perfect” in the product’s name, you’d hope it would cook eggs perfectly. Fortunately, it does. It has not one, not two but three layers of nonstick coating that are super durable. Not only is it perfect for omelettes, but it works great for pancakes and crepes too. It heats evenly and fast. Since it heats up fast, it might take a time or two to get used to figuring out the best temperature on your stovetop for this pan. Unlike the Calphalon pan above, it can be placed in the dishwasher. Like the Calphalon Contemporary, the dual-layer nonstick is long lasting, making it easy to clean and ensuring that you won’t need to replace it after a short period of time. 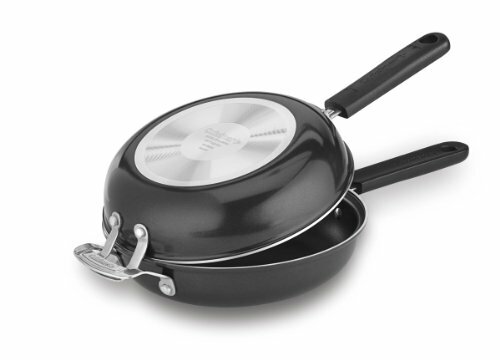 The pan is made of a hard-anodized aluminum and it heats up very quickly. It’s great for not just eggs but sautéing and frying too. A nice bonus is that this pan comes with a glass lid. This pan may seem a little confusing at first, but don’t let it intimidate you. It’s easy to use and makes it easy to cook up a great omelette. Simply pour the eggs and then the filling into one side of pan and close it. Remove it from the heat so it can cook for a little bit longer and there you have it. A perfect omelette. That said, this pan is pretty dish specific, meaning it can’t be used for much else than omelette making. However, if you are making omelettes frequently, this is an affordable and reliable option. The omelette was a bit on the thicker side. Only way to adjust is by adding or subtracting egg amount. Getting the temperature of the pan just right can be kind of tricky. The main selling feature of this pan is the Thermo-Spot heat indicator and it does a good job of letting you know when the pan is preheated to the perfect temperature. I appreciate the silicone handle, which makes it comfortable to hold since there will be some lifting and tilting going on when making an omelette. The bottom is made of stainless steel, which makes it good for stovetops, including induction stovetops. The Prometal nonstick coating says it’s safe for metal utensils, but I found that not to be the case. The nonstick quality doesn’t last as long as many of the others on this list. Can’t decide on what size to get? Then consider getting this set. It comes with a 7.5”, 9.25” and 11” skillet. Not only is this set affordable, but it’s nice to look at too. It comes in colors such as Marine Blue, Orange Gradient and Red Gradient. While it’s great for cooking more than just omelettes, don’t use the high heat setting on this one. A square pan? Don’t knock it till you’ve tried it. Not only is this mini pan cute, but it also makes a perfect little omelette for one. As you might have guessed by its name, the GreenPan is eco-friendly. 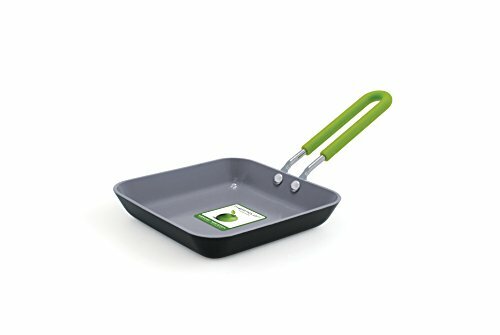 The nonstick layer is made from a natural substance (sand) and the company prides themselves in emitting far less CO2 when coating the pan compared to other brands. The downside of this pan is if you are more of a 2 or 3 egg omelette eater, this isn’t the pan for you. When they say mini, they mean mini. Perfect for a small amount. Cooks only 1 egg at a time. This isn’t just for frittatas. These two pans lock together to make a frittata, but the high sloping sides and ability to flip from one pan to another make it great for omelette making too. The 10-inch size is perfect for a 3-egg omelette. The pan heats up quickly and cooks evenly, thanks to the aluminum core. If you do decide to flip the omelette from one pan to the other, flip carefully. It can leak. When made the traditional way, by using just one pan and simply folding the omelette, it works just fine. Using it to actually flip something. Can potentially get a little messy. 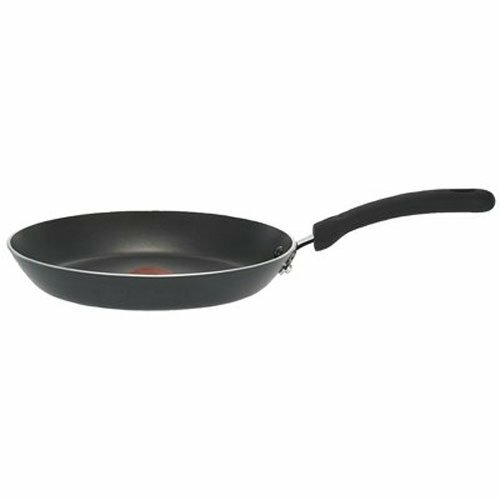 This is a classy, professional looking fry pan that makes a great omelette and is very affordable. It heats up quickly and cooks eggs evenly. The sides of the pan are a good height, definitely high enough to make flipping and folding the omelette a breeze. While the handle isn’t covered in a silicone, it is long and pretty comfortable to hold. Like the other Calphalon pans on this list, it is super durable and the nonstick quality holds up over time. Also, this pan is another dishwasher friendly pan. No Teflon coating. Simply brushed stainless steel. Want size options? Then this super affordable 2 piece T-fal set is for you. It comes with an 8-inch pan and a 10-inch pan. Both are good sizes for making an omelette. The nonstick works great and aluminum in the pan does help to cook things evenly, but don’t expect this pan to hold up to daily wear. After awhile, the nonstick coating tends to flake and get scratched. If you are looking for a pan just to use for Sunday morning omelettes, then this is the one for you. Q: Which omelette pan should I get? A: Still confused on which one is right for you? Here are a few things to ask yourself when narrowing down which pan is right for you. How often will you use it? What kind of stovetop do you have? Once you have the answers to those questions, take a look over the list again. This will help you find the pan that’s best suitable for you and your lifestyle. Q: What size pan should I get it? A: That all depends on how you like your omelet. If you like the egg to be thin, go with a larger size, such as a 10-inch. If you like a fluffy, thicker egg, then a smaller size, such as an 8-inch, would be good for you. Because of its size, it’s great if you like your eggs a little thicker too. Q: How do I use an omelet pan? A: Be sure to preheat the pan to medium-high heat (unless using a ceramic pan, then only medium heat). Only once the pan is sufficiently heated, should you add the eggs. To check to see if your pan is the right temperature, add some butter. If it bubbles, then it’s ready. If it barely melts, then give it a little longer. Q: How do you clean an omelette pan? A: Of course, check the manufacturer’s instructions before anything. Some can be put in the dishwasher, while others not so much. Hot soapy water and a sponge (preferably a nonabrasive) are going to be your best bet. If you find that food is sticking to your pan, it might be time to get a new pan (or a better quality one). Most of us want a pan that can do more than just one task, and that’s why the Calphalon 8-inch Contemporary Hard-Anodized Aluminum Nonstick Omelette Fry Pan is my top choice. It is a long -lasting, durable, multi-use and of course, more importantly, makes a great omelet. If the price is a little more than you were looking to spend, definitely consider the T-fal Thermo-Spot Heat Indicator pan instead. It is a budget-friendly pan that makes cooking an omelette pretty foolproof. Any pan you choose on this list is sure to make you a great omelette. Happy cooking!